The incidence of blue-green algae (cyanobacteria) blooms is increasing world-wide with some of those blooms containing dangerous toxins. As the world’s population increases, development across many spheres increases leading to the factors feeding the growth of these blooms. The most important message that the public needs to hear though, is that we can prevent the increase in incidence of toxic blue-green algae. To understand how to prevent the increasing growth of toxic blue-green algae blooms, it’s essential to know what these algae need to grow. There are two main nutrients, phosphorus and nitrogen, that must be available as well as sunlight. The warmer the water, the more conducive it is to promote the growth of algae. 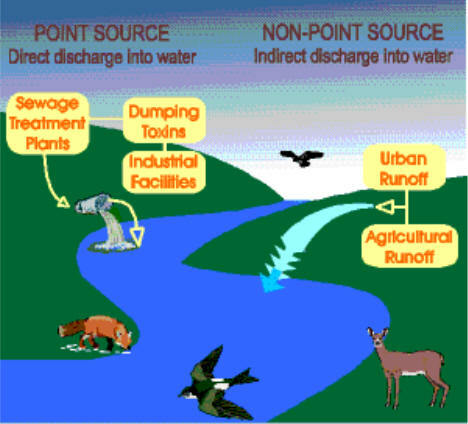 The nutrients, phosphorus and nitrogen, are in human waste, animal waste, chemical fertilizers, and some natural run-off from the land. So in very simplistic terms, the answer to slowing the growth of algae is to limit the nutrients getting into the water. Many scientists think that the emphasis should be on limiting the phosphorus rather than the nitrogen, because some species of the cyanobacteria can “fix” nitrogen from the air. So once the nitrogen in the water is used up, they will just get what they need from the air. Although climate change is exacerbating the amount of phosphorus and nitrogen getting into our water, due to more intense rain and snowstorms that pull nutrients off the land, there are good ways to reduce the amount coming from point sources. The first and most logical step involves intervening at any point source such as human wastewater treatment plants or industrial discharge plants. There are excellent technologies available to remove most of the phosphorus from wastewater including some that even recycle the phosphorus turning it into saleable fertilizer pellets. So it is not a case of needing more research to develop technologies but rather having the will to invest in it. Intervening to decrease the nutrients in non-point source run-off is more complex and there is ongoing research about the best practices for agricultural lands. However there are very basic practices that need to become the norm, such as doing soil testing to determine the amount of phosphorus and nitrogen in the soil before applying fertilizer and matching the fertilizer application to specific crop needs. As well, protecting remaining wetlands and restoring wetlands in certain areas can be very effective in slowing the movement of water across the landscape and filtering nutrients and other pollutants out. In urban settings there is a move now to “hold water on the land” through building rain gardens, permeable parking lots and other ways to slow the flow of run-off from streets into storm sewers and on to waterways. There are very good solutions to the increasing problems of toxic blue-green algae blooms in our lakes but what is missing is the political will to implement those solutions. The barriers are the money needed to put them into place and the willingness to work through opposition from agriculture industries, developers and political leaders who object to changing practices and the long-term investments needed.